Be a Superhero, become a CASA Volunteer! Learn how you can make a difference in the life of an abused, abandoned or neglected child. Call (307)222-1902 for more information. Donate to CASA of Laramie County. All donations are used to directly serve the children in Laramie County who have been abused or neglected. 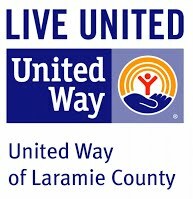 CASA of Laramie County currently receives funding from United Way, Victims of Crime Act (VOCA), Government grants, independent donations, and holding fundraising events in our community. CASA of Laramie County is a member in good standing with the National CASA Association. CASA of Laramie County is sponsored by the Division of Victims Services and United Way.